The fat-burning recipe is fairly straightforward: heavy resistance, high-intensity cardio, and a solid out-of-gym plan (nutrition, recovery, sleep…you know the drill). There are endless training variations for blending strength and cardio that work to reduce fat and activate every muscle in your body. It can leave you at a loss for what exactly to do. 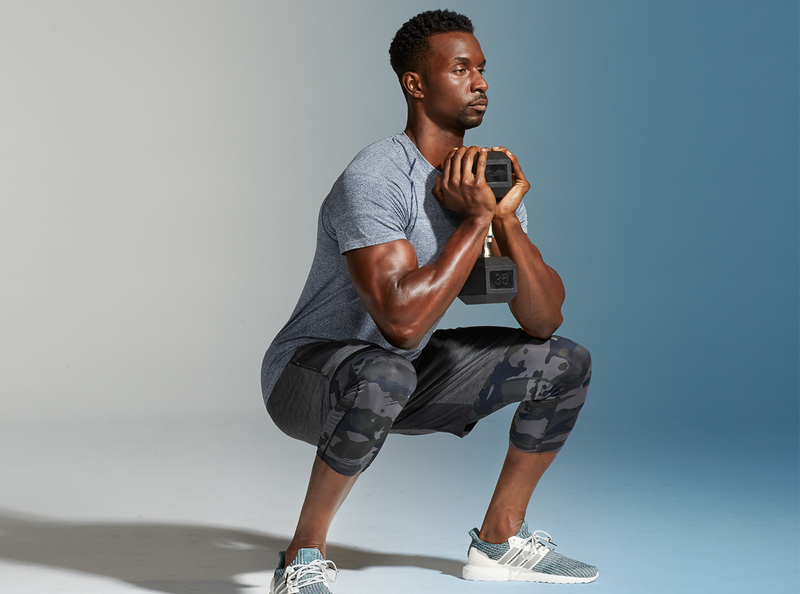 Wonder no more: These five total-body workouts will kick your metabolism and heart rate into high gear, burning fat and building muscle in the process. Each comes from a top trainer. As for the diet, try our four-week, fat-burning meal plan. Directions: Perform all six movements as described. Rest 20 seconds between exercises and 1 minute between circuits. Do 4-6 rounds. Start in pushup plank position with your hands wider than shoulder width. Do 10 wide pushups, then elevate your feet on a step or chair, positioning your hands shoulder-with apart. Perform 10 more pushups. To make it easier, do 20 pushups from your knees. To make it harder, do 15 reps at each position. These should be about 70-80% of your 1-rep max (as heavy as possible for 8-10 reps so the later reps are difficult). Hold the weight in both hands, standing with feet shoulder-width apart. Lower into a squat, pausing briefly at the bottom of the movement, then drive through your heels to stand. Lie flat on your back with legs straight and arms extended to your sides. Sit up with your shoulders off the ground as you bend your knees toward your chest, lifting your feet off the ground. Keep your arms to your sides throughout the movement, then return to the starting position. To make it harder, raise your hands above your head at the starting position and reach for your toes on the crunch. Find a setup where you can jump to a pullup bar. Start in a standing position and proceed into a burpee: Drop into a pushup position; do one pushup; and explode your feet toward your hands. From here, jump up to grab the pullup bar and perform one pullup, then drop back to the start position and repeat. To modify, complete 10 burpees and 10 pullups (using a band for assistance, if necessary) separately. Holding dumbbells, stand straight up, making sure your elbows are in front of your ribs. Curl the dumbbells to shoulder level and begin an overhead press. When overhead pressing, squeeze your glutes and keep your core engaged to prevent arching in the lower back. Start with feet shoulder-width apart, with both hands on the horns of a kettlebell. Relax your shoulders away from your ears and pin your shoulder blades together. When hinging, don’t let the bell drop below your knees. Reach your hips back and squeeze your glutes from the bottom of the swing into full extension through your hips at the top. In this portion of the program, aim for heavy load with moderate volume. 1. Banded Barbell Deadlift (8 to 10 reps): Once you’ve mastered the hinge pattern of a deadlift, incorporating resistance bands will help you safely increase load as you progress. 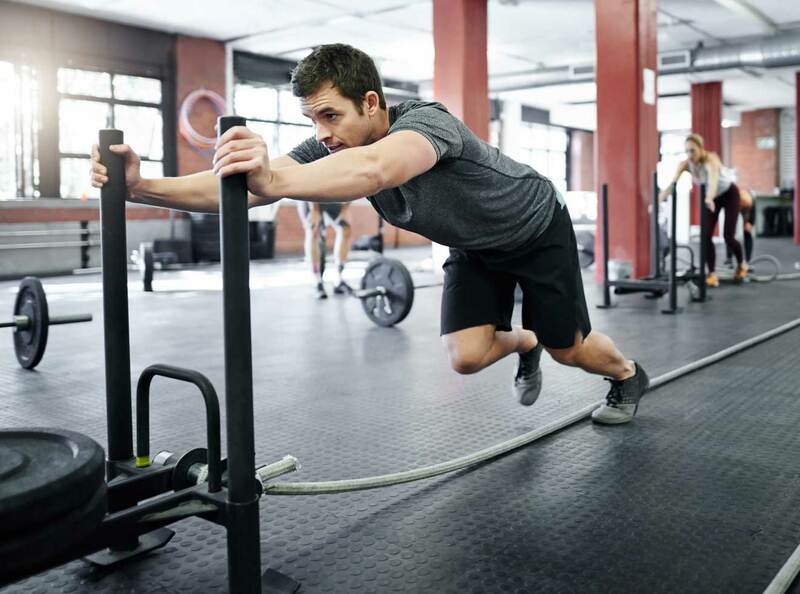 Using a lifting platform or rack with low pegs, attach a resistance band from the base of the pegs to each end of your barbell—such that the band is taught and resistance increases at the top range of your movement. Choose weights that allow you to perform 8 to 10 reps per set for 5 sets total with 90 seconds rest between sets. In this portion of the program, perform a circuit with moderate load and higher volume. Perform 4 circuits total with 60 seconds rest after each circuit. 1. Pullup-Plus (8-10 reps): Grab the bar with an overhand grip in a dead-hang, with hands slightly wider than shoulder width. Without bending your arms, bring the scapula down toward your lower body (this should feel like you’re trying to “bend” the bar). Your chest should rise while your scapula retracts. Once you hit full retraction, pause for a 2-second count, then proceed into standard pullup. 2. Zercher Carry (25-30 feet): Hold a moderately heavy barbell close to your chest by bending your arms at 90 degrees, placing the bar between your biceps and forearms. Keep your gaze forward, core braced, and back straight as you march. 3. Prowler Sprints (40-50 feet): Choose a challenging weight, and place your arms high on the prowler handles. Keeping your core braced, drive forward at a steady pace with full extension on each rep. The goal in this phase is to engage in bouts of heightened exertion followed by active rest, measured as a function of your maximal heart rate (MHR). If you have one accessible, a wearable HR monitor is a great asset for tracking exertion in this phase. Perform 8 to 10 intervals of the two movements back-to-back, building from 70 to 90 percent max heart rate in 3 to 5 percent increments with each sprint interval. Do five sets of the below moves. Do 12 reps for set 1; 10 reps for set 2; 8 reps for set 3; 6 reps for set 4; 4 reps for set 5. Increase weight by 5 pounds week over week. Repeat the below sequence for 5 rounds twice a week. Work your way up to 8 to 10 rounds 3 to 4 times a week. For strength work, choose weights that are difficult but can be done with perfect form. Increase weights slowly week to week when possible. Sled Sprints (hill sprint, assault bike, spin bike): 30 seconds all-out with 1.5 minute rest. The trainer: JJ Rosenfelt, a NASM certified personal trainer, group fitness instructor, and running coach at Equinox Chestnut Hill in Newton, MA. Focus on a limited workout that incorporates interval-based cardio and targets muscles on rotation (work legs and lower body on Monday; upper body on Tuesday; lower body Thursday). Complete 3 sets of the below sequence with no rest between moves. Rest 1 minute between sets. Complete 3 sets of the below exercises starting with 5 reps using max weight; 6 reps dropping 10 percent of weight; 8 reps dropping another 10 percent. 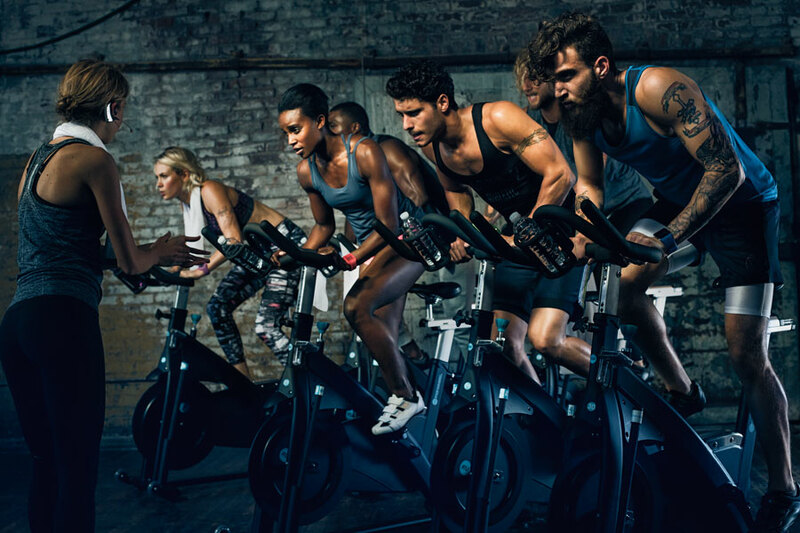 Select five varied cardio machines in the gym and go to max effort on each machine for two minutes with a 1-minute rest in between each effort. This totals 15 minutes. Build to four rounds (one hour).